When my baby was 9 months old we decided it was time for her to go on her first hike! We decided to hike the Chuckwalla Trail to Paradise Rim. You can read more about this specific hike by clicking here. 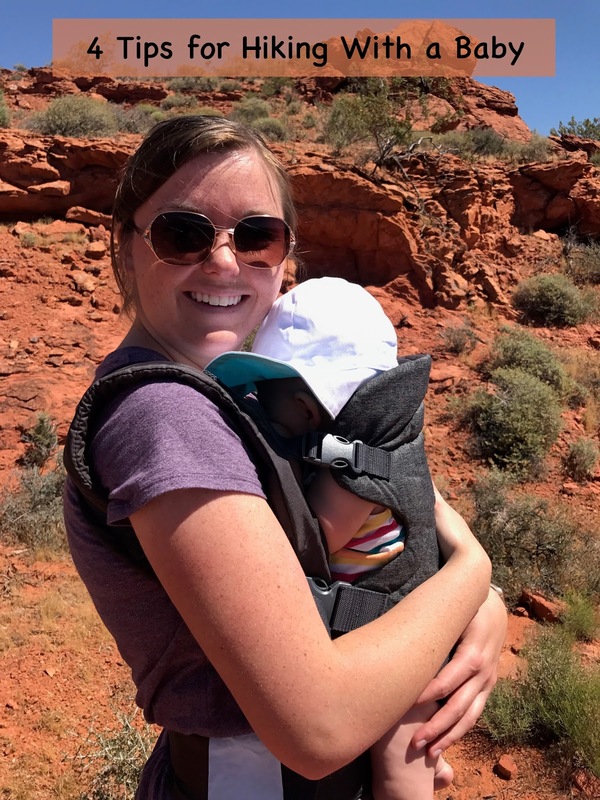 It is a 2.5 hour hike roundtrip so I was a little nervous about how our little baby would do. She was a rockstar though! It also helped that we took some time to prepare. Here are my must have items and must do tips! #1 Use a baby carrier!! We used the Infantino Flip Advanced 4-in-1 Convertible Carrier. One of the best parts about this carrier is that it is only $20! Woo hoo! My dream baby carrier is the Ergobaby 4 Position 360 Carrier. This one is more expensive ($180) but has great reviews and my friends who use it love it. Seth carried her on his back for most of the way and I carried her on my front with her facing me so she could nap the last 30 minutes or so. It was perfect. #2 Pack snacks! Our baby girl was just starting to eat finger foods at this point so we packed a couple fruit cups. some cereal puffs, and an applesauce squeeze. We found a nice rock to sit on and let her chow down. #4 Protect your baby from the sun! Sunscreen and a hat are a must! I love the bucket hat that we used because it covers her head and shades her face and shoulders. I'm pretty sure we got it from The Children's Place. Those are my tips! 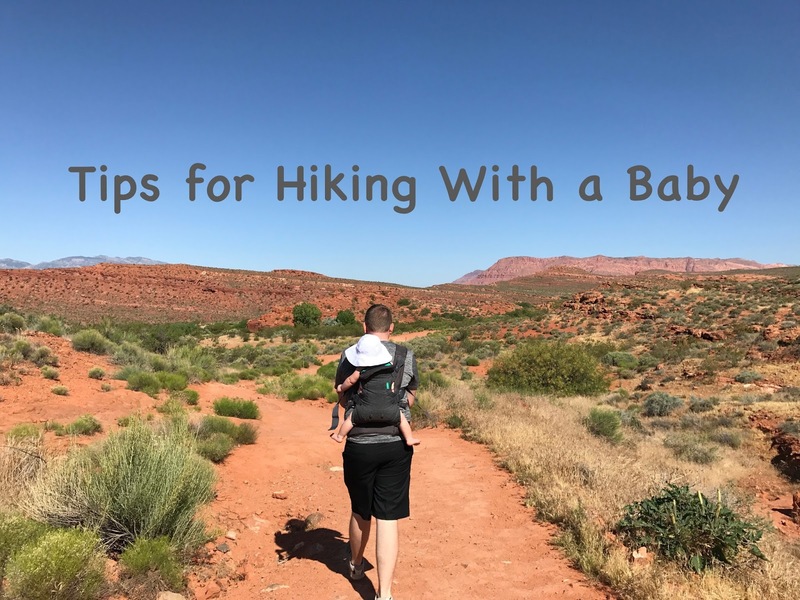 I was intimidated by the thought of hiking with a baby but it really wasn't that hard at all! She loved it and we made great memories! Great tips! I hope she grows up to love hiking.